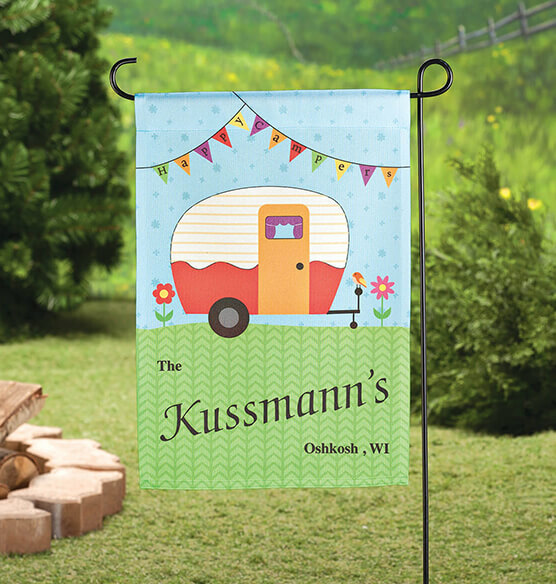 Whether displayed in your garden or flagging your campsite, this Personalized Happy Campers Garden Flag is a fun way to introduce yourselves as "Happy Campers! 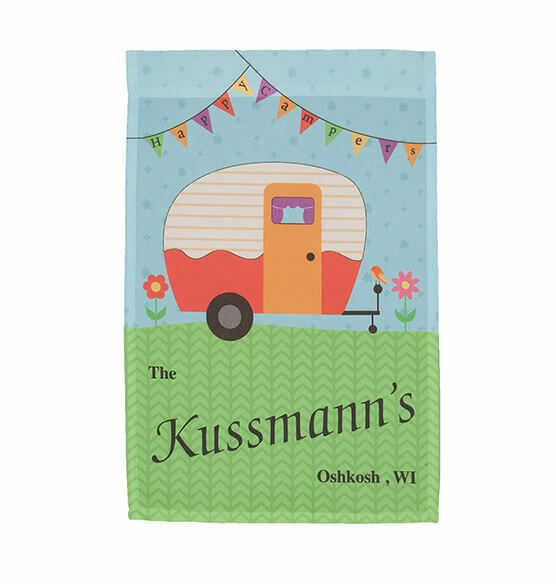 Great for claiming residence at the campground, the cheerful design features a retro camper and bright banner saying "Happy Campers". We'll custom personalize this decorative flag with your family name, home city and state initials ... or any creative message you choose, making it yours alone. It's perfect for my camp at Forest Lake where I spend my weekends in the summer. This was personalized, but the spelling was wrong. They are re-doing it for me, in which case I could give it another star. It is very thin...I expected it to be slightly thicker...but hopefully it will hold up for awhile. Is the printing on both sides? BEST ANSWER: No just one side. But it is very nice!